It's hard to find the right words on a day like today. I'm incredibly disheartened by the US Senate's vote to confirm Brett Kavanaugh to the US Supreme Court. I'm afraid because of what's at stake with Kavanaugh on the Court...women's rights, health care, and our democracy itself are all on the line. And I'm upset because of the multiple credible accusations of sexual assault that have been made against Judge Kavanaugh. 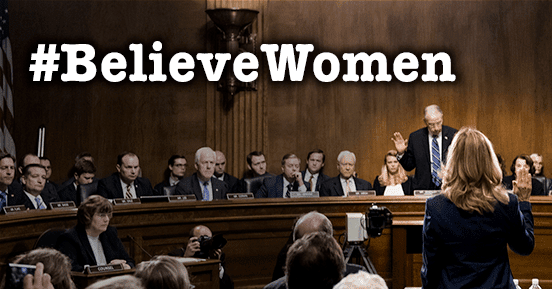 Watching Dr. Ford come forward with her incredibly courageous testimony of her assault was so powerful for me...and watching and hearing a majority of Senators either choose not to believe what happened to her - OR simply choose not to care - was absolutely gutting. The past few weeks have been really hard. I've vacillated between feeling sad and demoralized, and just outright mad. I know it's not just me. I would love to get together this week with anyone who's feeling the same way (allies and everybody included). If you're interested, send me an email at aliforassembly@gmail.com or RSVP on Facebook here. The Senate voted today, but WE get to vote on November 6th. Let's rally together and make a plan to keep fighting for what we know is right. Together we are strong. I hope to see you on Tuesday!